Oh, the Hong Kong and China border. How I love thee! Are you crossing the border? I have crossed the Hong Kong border up to four times per week at certain times. There are people whose lives are spent crossing back and forth between Hong Kong, Shenzhen, and Guangzhou. Even children, going to school each day, cross early in the morning, normally about 7:30 am to 8:30 am – you will see a large number of children lining up with teachers or school assistants to help them get into Hong Kong to go to school. I don’t believe there are any students going the other way (Hong Kong into Shenzhen), so this tells you which side has the better education system. 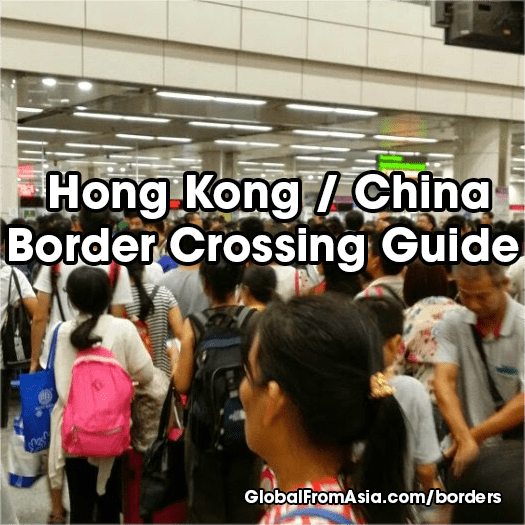 This article is for the business traveler who either crosses the HK / China border for a one-time visit or is trying to figure out the system for a regular commute. I hope this will serve as a reference you can return to. I will also try my best to regularly update this post as I learn more and as others contribute their tips and tricks. If you have tips or fixes to this post, please comment so we can keep this as a community resource! Do You Have a Chinese Visa or Trying To Apply At the Border? When coming to Mainland China, there’s a 99% chance you need to get a visa for your passport to enter. There are 2 places on the Hong Kong and Shenzhen, China border where you can apply for a visa on arrival – Luo Hu (Lo Wu) and Huanggang. The time to process it and the passports they accept changes often. I strongly suggest applying for a Chinese visa in advance to streamline the process. You can apply in Hong Kong at a travel agency (see our blog post on getting a China visa) or while you are still in your home country. To cross to Shenzhen, the majority of global citizens will need a Chinese visa. Actually I don’t know of any that does not require it. China was the first country I had entered into where I needed a visa — normally a US passport is pretty powerful. Before traveling, you should find a visa agency to help you obtain the needed visa, and there are a bunch in Hong Kong or in your home country. I have used Visa Rite in the past, which is based in the USA, and I did it before I traveled to Asia. Usually if you apply for a visa from your home country, you will be granted a longer stay than if you apply from Hong Kong. You also need to decide if you will apply for a tourist or business visa. I have never applied for a tourist visa; I just wanted to pay the slightly higher fee to be on a business visa to avoid any issues. Please note, a business visa isn’t for working in China. It is for a traveling businessman visiting Chinese companies with intent or interest in doing business with them. If you want to work in China, you will need a residence permit, but this is off topic for today’s post. Looking For A Fast & Easy Way? “Don’t want to deal with all this complex transportation options – try our Cross Border Car service partnership. Related: Looking to set up in Hong Kong while visiting? Check out our extensive (and free!) Hong Kong company registration guide here. Heading to China? Then you probably will download and use Wechat app! We recommend you add us (globalfromasia) and then tell us that you want to join our Wechat group, all about border crossing, for real time help! Scan the QR code to add us. Tons of people are visiting China for the first time during the Canton Fair and other product sourcing trade shows in Guangzhou, Shenzhen, and Hong Kong. 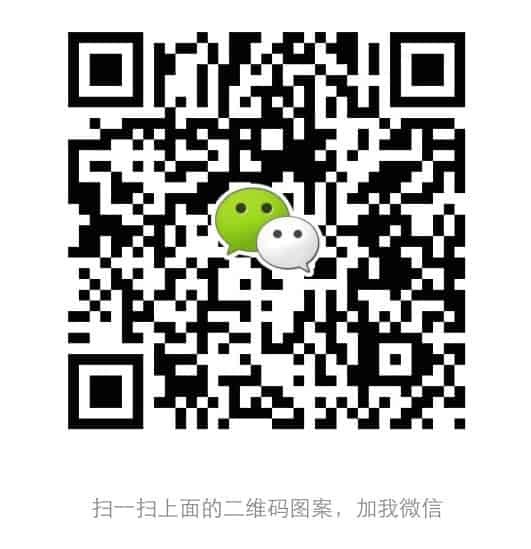 Add our team on wechat – globalfromasia – and let us help you get the transportation you need! Read more on Canton Fair to/from Bus service. Hi, Thanks for your blog. I have a 10 year multiple entry visa 60 days stay, before 60-day limit expires, I thought that I could exit to Hong Kong and re-enter China for a fresh recount. But, since Hong Kong is taken over by China on July 1st, 1997, it’s part of China. Thus, I am not sure if it would be a valid exit. Your advice would be highly appreciated. Hong Kong does count as leaving China to get your exit stamp. You can then re-enter Mainland China by land to the border (to Shenzhen) or fly back in. If you’re not leaving the Chinese airport, you are fine. You will just have to wait at the international terminal until your flight to Hong Kong (or anywhere outside of Mainland China) destination. Please use the comment section below. But remember, we are writing this article as a free service to help travelers and do not have a full time agency to help with these kinds of cross-border travel questions. 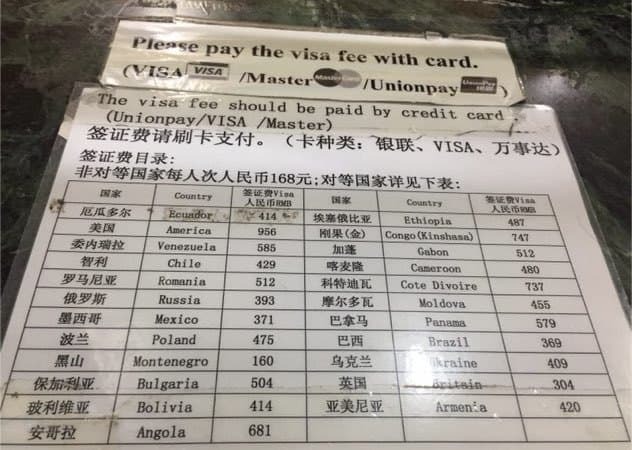 This image of the price list below was taken at the Luo Ho (Lo Wu) border by a friend Nick in Feb 2017. I’ll try to keep these updated. A hot and common topic is – how can I get a visa on arrival. On September 2016, my friend David just entered into Shenzhen and got a Chinese visa for 150 RMB (about 20 USD) for six days – with his Austrian passport. His American associate, Eric, got one as well but instead for about 900 RMB ($150 USD). This is only possible at the Luo Ho border control point. If taking the Hong Kong MTR, go to the Lo Wu stop. You will leave Hong Kong border, and then go to the 2nd floor on the China border side to apply. David tried to confirm if he could get a visa on arrival before flying to Hong kong. He asked the Austrian embassy, but they said the policy is always changing. He also asked in Hong Kong airport, and they said it is always changing. When I asked about US citizens getting visa on arrival last year, for the Cross Border Summit, I was told it wasn’t possible. So short answer – it is a hit or miss. If you can’t get it – then you’d need to stay in Hong kong and apply at a visa agency or the Chinese embassy directly. It is a balance of world politics and emotions it seems. Good luck! Just a quick heads up on the visa on arrival at LoWu border. I was there a couple of weeks ago. Yes, they do issue a 5 day visa on arrival for American passport holders which apparently costs 900 something RMB! That’s quite expensive for a single entry! For other nationalities it will cost something between 180RMB to 300RMB I believe. Are you a regular border hopping nomad or business owner? In August 2016 the Chinese government has allowed foreigners to get an e-channel. It’s for those who are “permanent” in China. Think that is you? Then read our full e-channel guide here. For those who want to save time crossing to Hong Kong and don’t have a Hong Kong ID, you should consider applying for a Hong Kong Travel Pass. You will be able to go to the special Hong Kong resident line rather than the visitor line–often saving a ton of time entering Hong Kong (Note: this is for the Hong Kong side of the border, not Mainland China side). You need to have been stamped in and out of the Hong Kong airport at least three times in the last year, received a letter from a HK resident why you need the pass, and a supporting letter from your business on why you need to cross. The application is Hong Kong immigration form id888 and the fee is 575 HKD. If you want to read the full details of the process, my buddy Marshall wrote up a nice article on it via Hong Kong (HKSAR) Travel Pass – The SECRET to crossing the border quickly! Update on Oct 27, from reader Lainy: HK E-channel that can be obtained at the HK airport (the free echannel) can only be secured BEFORE baggage claim as soon as you get your passport stamped going through HK customs. You can’t leave customs, then try to go back in and get the HK e-channel. I believe the counter is open till 11:30. It took me five minutes to get mine, and it is well worth it!! I only had to prove I entered HK several times over the past year, which I had done from the SZ border and not from the airport. Update: A hot topic in the comment section of this post, you can also get an Asia Pacific Economic Cooperation Travel Card. I applied for it and was approved. It has greatly improved my border crossing time! So thankful for those who left a comment about this so openly. I wrote a full blog post about my experience called “How to Get An APEC Travel Card. Keep the comments and feedback coming! Wondering when the best time to cross is? It’s something my friends and I often crowdsource the answer in group chats. From our findings, I cross the border pretty early in the morning. I like to wake up early anyway, but it is also to avoid the longer lines of commuters. I advise trying to get to the border before 7:30 am, or at least by 8 am, otherwise the regular commuters and tourists will clog up the lines. The second best time is late at night, after 9 pm. This is because the business commuters and tourists have mostly gone through already. A note about Mainland Chinese tourists: they often travel in massive tour groups, with jam-packed buses, so if you see one coming and you’re heading to the border, run as fast as you can to get to the border before them to avoid having 40 or more people ahead of you at the immigration line. I have also had some luck crossing in mid-afternoon or lunch time, but it can be hit or miss, and sometimes it is too dangerous for me to risk it as there could be some tour bus schedule that I am not aware of. Rush hour mornings start at about 8:30 am and last until about 10 am or later. It is also hard to calculate precisely because of Mainland China tourists and shoppers who may be taking a day trip. Rush hour evenings start at about 4 pm and go until 8 pm or 9 pm. Weekends: It seems like the whole weekend is a bad time to cross the border. I am writing this on a Sunday morning, and last night I crossed into Mainland China at 10:30 pm from Shenzhen Bay thinking it was late enough to cross, but it still had about six rows deep in the line, for about a 30-minute wait. Not too bad, but for 10:30 pm I would have expected no line. Weekends are unpredictable, but Saturday morning is a huge one to avoid unless you are going there well before 8 am. I went at 7:30 am on a Saturday and it was already lining up with buses. What Is The Best Border For Foreigners? After having this border post online for years now, many still ask me “what is the best border for foreigners”? Well, I would still say it depends on where in Shenzhen you live – as the city is such a wide place that it could take up to an hour to get to various borders. Therefore, take transit time to each border into account. In my opinion, the best border for foreigners is Huanggang Border. It is an old border, but they have separate lines for foreigners – when leaving China. But the worst part is you need to take a bus in between the China and Hong Kong borders, making the trip slower and more inconvenient. On the way from China into Hong Kong, the Hong Kong side merges Mainland Chinese with other foreigners – so the line can be crazy long. The big trick is avoiding tour groups for shopping. Get behind a couple of those buses and we are talking up to an hour wait. I read “Hong Kong to/from China Border Crossing Guide”. And then I found the (new ?) 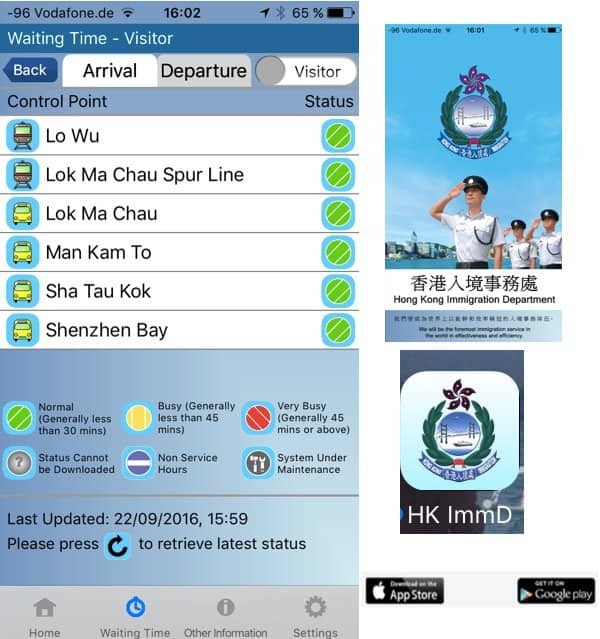 App from Hong Kong Immigration Department, where you can look after waiting times at all borders to / from China Mainland. I think it will be a good idea to insert a link in your article. * Please note: This mobile application requires an internet connection. So I will be using this so long as I have internet connection there! Carry a ton of customs declaration slips, for both the China and Hong Kong side. I carry a small bag in my backpack with these slips that are required for both borders so that I don’t have to leave the line to get them at the kiosk. Also many times they don’t have any slips left and you need to wait for more. I pre-fill out a bunch of them so that I am ready to give it to the customs official as soon as I am in the line. Keep 2 wallets. I used to be bothered by switching cash and credit cards when I cross the border, but now I just carry my Hong Kong bag that has my Hong Kong wallet, cash, Octopus card, and some business cards. Other electrical outlets and misc. border items. Also in the bag are the electricity adapter for Hong Kong outlets. I have a pen (that can be hung around my neck on a string for easy access when at the border line), and I also keep the ferry schedule card in the bag as well as a copy of my passport. Second phone (or more…). I also don’t bother switching SIM cards anymore, so I have a primary phone but I also keep other older phones on me for secondary phone numbers. Perfect time to catch up on podcasts. I am prepared with podcasts downloaded to my phone to listen to when I get to the border. It is also nice because you may not have stable internet at the border as you’re between two mobile networks. Want to see how I live this regular border hopping lifestyle? Read a day in the life of a border crossing pro. You can cross the border by pretty much any transportation methods known to man. I will go through them and list which border crossing has those options. Of course the most convenient and easiest way is the subway system. You don’t need to worry about schedules since they run all day. Hours of Operations: The subways on both sides do not run 24 hours a day. The MTR opens at 6 am and closes at about midnight (depends which lines, but as a general rule of thumb aim for 11 pm to be safe). Borders that have MTR access: The MTR goes to the Luo Hu (Lo Wu) and Futian borders (Lok Ma Chau) and is on both sides. Costs of MTR to Downtown Hong Kong: It varies on which stop, but generally about 25 to 35 HKD. There are so many buses it is hard to cover them all here. There isn’t a “public city” bus that goes across the border, or even a private bus that crosses the border, but there are tons of buses on the border to choose from. These are similar to Greyhound buses in the USA. They are pretty comfortable with newer buses with capacity for about 40 people. They have numbers and signs on them with staff standing in front of the bus ready to collect your ticket. You can buy a ticket only at the ticket booth for they do not accept cash at the bus. For the most part, the majority of buses go to Shenzhen Bay and Huanggang borders as they do not have subway stations. It seems the city planners are trying to even out the clusters of people. You need to buy coach tickets on the China side, they will not let you buy them after crossing the border into Hong Kong. Wan Chai next to immigration tower. There is a massive bus station in Wan Chai for these cross-border buses. But for the most part these only go to Huanggang. Sometimes they go to Shenzhen Bay, but don’t count on it. Wan Chai CTS (China Travel Service) tour guide station. This is a retail shop outside of Wan Chai MTR exit A4 (take a left and about three shops down) that hasn’t been running as often the past year or so. They normally go every hour or so to Shenzhen Bay. Prince Edward MTR station, exit C2. 363 Portland Street. Go straight one block and you’ll see it on the corner to the left. Kowloon MTR station – There is a bus from the ICC across the bay that will take you to the Shenzhen Bay bridge. Saves you that half-hour taxi ride from Huanggang and back to Shekou once you’ve crossed. The bus leaves from the “Cross Border Shuttle Bus” station from inside the Elements shopping mall in the bottom of ICC (the tall building at the tip of Kowloon Bay). Cost of a Coach to and from Hong Kong: About 45 to 55 HKD depending on which border and how “deep” into Hong Kong you go. 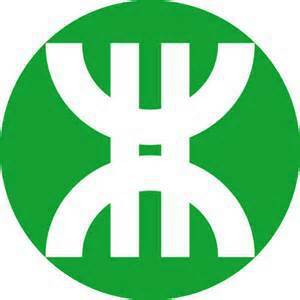 There isn’t a “train” between Shenzhen and Hong Kong, it is the MTR or subway system, but there is a train to and from Guangzhou, from both Hong Kong and Shenzhen. From Guangzhou to Luo Hu station: I have taken this a few times to get to the Canton Fair and the US embassy. This leaves very often (I believe every 30 minutes). I can’t find a website about it in English, but the rate is about 100 RMB. I will update this post as I go again, or you can leave a comment and I’ll update it. From Guangzhou directly into Hong Kong (Hung Hom MTR station, Kowloon) costs about 200 HKD one way. A very nice, professional train I might add. This is a common one I take: the Shekou Ferry Terminal. It’s way out on the western part of Shenzhen in Shekou, so many think it isn’t too convenient of a location. But the nice thing about this ferry is you will always get a seat, and the border line is limited to this boat (and maybe a couple others), so the line is never too outrageous. Scroll down to the Shekou Ferry Terminal section for the full details on this one. I don’t believe there are other boat options to go across the border, unless you have your own private yacht! There are quite a few ways to get to and from the border by car. Let me outline a few of them here, it can get extremely overwhelming. Shenzhen Bay to Hong Kong Airport: About 300 HKD, which can be split by the passengers, so if there are two people it is the same price as the SkyLimo. Shenzhen Bay to Shenzhen Airport: About 130 RMB. Shenzhen Bay to Central: Haven’t done this one before, but think about 400 HKD. Huanggang to Central: About 400 HKD. LuoHu to Central: About 350-400 HKD. I will add more as I learn about them, and if you have some, please leave a comment below and I’ll continually update it. In Hong Kong green taxis are for outside of the downtown areas, and red is for downtown locations. You will see two lines. Shenzhen also has this policy, but you won’t notice it unless you are at the airport. Update (Oct 27, 2014) My friend Jack Perry just told me you can take a red taxi from Central up to Shenzhen bay border. SkyLimo is a term used for an eight-person van (up to seven passengers) that can be picked up either at the Hong Kong airport or at certain Shenzhen borders to take you across the border and to or from the airport. I have taken this multiple times since it is pretty convenient. Just get in the car outside of a border in China and you get dropped off directly at the Hong Kong airport. Costs 150 RMB and runs from 7 am to midnight every day. The Hong Kong airport has a page about these services that you can check out for the latest information on it. Update: I took the Skylimo from Huanggang border to the Hong Kong airport and the cost was 120 Chinese Yuan. So seems a bit cheaper from here than Shenzhen Bay. After crossing the China side of the border, it took about 1 hour to drive through HK border and then to the Hong Kong airport. Want to support our blog and updating of this HK border post!? Then please consider using across border car service we cooperate with. We have a strategic alliance with a cross border car service – check out the car service here. 2) book tickets to hop on shuttle (or coach) buses and vans running on 24 lines linking Hong Kong and Shenzhen. You can either travel door-to-door on your schedule stress-free or save a seat on the shuttles in advance. The buses may be full, especially during rush hours, and you have to wait for the next one. The app and its CS team supports English so you don’t need to worry about not being fluent in Chinese. Does Uber offer cross-border service? I believe that they are seriously considering it but don’t believe it is online yet. Uber, for those who don’t know, is a startup that allows you to order private taxis from a mobile app. I have been taking Uber more and more and it is on both sides of the border in Shenzhen and Hong Kong. Some of us think it is a life saver on the China side when the taxi line is too long, but you should speak Chinese enough to communicate to the driver your exact location (the mobile app’s map is off in China), but it can really help you out when you’re stranded. Important Note: You need to make sure your phone number on your Uber account is active (turned on) as the driver will call you to find you. My friends and I have sometimes been in the middle of switching phones and can’t figure out why the driver isn’t calling. I have taken a Mercedes from Shenzhen to Hong Kong airport on a business trip–that was pretty high class! I wasn’t the one paying and don’t have experience ordering, but a simple Google search and there are plenty of these services for those with the budget. For example, I found Hong Kong Limo Service with tons of options for various luxury cars to take you to and from Hong Kong and Mainland China. Travel in style, but I think it would be at least a couple hundred US dollars to take any style of their cars across the border. I am about 95% certain you will be solicited by an illegal driver at almost all of these borders upon exiting on the Shenzhen side. While many will say it is dangerous to take an unlicensed taxi but sometimes the taxi line is hours long. I would say you need to be very careful if you are going to take an unauthorized car. Also you should know how much the normal taxi fare would be as they will almost always charge you more than the normal rate. Last, but not least, you can take your bike! I have personally taken my bike across the Shenzhen Bay border and then put it onto the B2P public transit bus and then rode it around in the New Territories. There are quite a few people taking group bike trips either on the Shenzhen or Hong Kong side, and I am certain they take it across the border. The bike I took was a foldable bike, so need to check on a full-sized bike. Subways in Shenzhen allow folding bikes, but I have taken a full-sized bike down into the subway once and was chased down by security. After some discussion, they did allow me to take it onto the subway as long as I took off the front wheel. Luckily it was a quick release front wheel so it wasn’t too big of a problem. But you may not be able to do this. I have been taking this more often lately as the taxi lines have been extremely long. There are private e-bike entrepreneurs who will let you hop on the back of their bike for a fare. Again, like illegal taxis, these are not authorized or licensed drivers, so use at your own risk. I took one a week ago and a police officer at the Shenzhen Bay border approached us and scared him a bit but let us go anyway. The rate should be cheaper than a taxi, but normally they know you have limited choices as they can also see the long taxi line. Rate is about the same as a taxi (again, it’s best if you know the normal taxi fare when bargaining). This is a classic border that Hong Kong residents always think of as Shenzhen. It is an old border. It is nice in that it allows you to take the MTR and subway on both sides of the border. To get there you take the metro to the Luo Hu stop on the Shenzhen side or the Lo Wu stop on the Hong Kong side. While I have never done it, I’m told you can buy a China visa at the border here. Here is the border you can always rely on taking, as it is open 24 hours. I have taken this border in the middle of the night at least a few times, usually after a networking event in Lan Kwai Fung in Central that ends around 11 pm or later. Sure, at that point you could just get a hotel in Hong Kong, but there is the preference of waking up in your own bed the next day to get back on track. So Huanggang is always your fallback option for crossing in and out of Hong Kong and Mainland China. Honestly, it is my least favorite border out of all the options, mainly because it is hard to get to (no nearby subways) and also because you have to take a bus between the Hong Kong and Shenzhen border. All other borders you walk between the borders, but in Huanggang you need to exit one border, get onto a bus in the middle of the border, take it to the other border and enter the region. The best way to get there is to take a bus at Wan Chai next to the immigration tower. It runs 24 hours as well there. From the China side, you need to take a taxi, or about a 15 minute walk from a couple different subway stations. This border is not meant for people on foot, it is built for cars and buses to cross. This is where my dual-plate Hong Kong business friends choose to cross the border. Hours of Operation: 24 hours! The newest and most convenient border in my opinion. It is the only other border besides Luohu that connects to the subway and MTR systems on both sides. I believe this is meant to be the border the government wants the non-car / bus travelers to go to. It is new and wide and clean. The trickiest part is it isn’t 24 hours and closes a bit earlier than most of the others. There have been nights out at Coco Park bar street after dinner when we have literally run to the border, only to have the doors locked up at 10 pm or so. They are not flexible at all in letting a few foreigners get in at the last minute. This is one I am constantly taking as I live in Shekou. The government built a massive bridge across the Shenzhen Bay to open this border, and it is meant more for tour buses than subway travelers as there isn’t a subway too close on either side. You’ll need to take a taxi or bus on each side. If you buy a coach ticket to go to Hong Kong, make sure you buy it on the Shenzhen side; you can’t buy it on the Hong Kong side, and need to pay in RMB. There is a SkyLimo to the Hong Kong airport here. I will be a bit more detailed on this border as it is the border I frequent the most and want to document it all. Getting here from the Shenzhen side: There are a bunch of public city buses, but I normally don’t bother. I usually just take a taxi from my home in Shekou, or a taxi from Houhai MTR station (Coastal City), as that is about the closest station. Getting to Shenzhen Bay Border from Hong Kong: Tons of options. There are coaches (usually I take the one from Prince Edward Exit A). There is also the option to take the MTR to Tin Shui Wai and then go to exit B, down the stairs on that side of the street and taking the B2P bus to Shenzhen Bay border. Another MTR option is to Tuen Mun stop and then the B3X. Hours of Operation: 6:30 am-midnight. This is the most convenient, but granted a bit more expensive. One way from Shekou, Shenzhen to Central, Hong Kong is 120 RMB. But there are special rates for groups of more than three travelers (on weekends), and a special rate for same-day round-trip for 150 RMB. The tricky part about the same-day round-trip is that the ferry only runs about five times a day, and the last one is 6 pm on weekends, so you need to have your last meeting by 5 pm and make it quick! I’m always rushing in Hong Kong when I do the same-day return ticket. Ferry Schedule: You can take the ferry here to four ports. Check here for the full Ferry schedule and map. Also note the weekend schedule is different from weekday. Central District (technically Macau Ferry Terminal in Sheung Wan): This is the destination you want to go to if you are going to Hong Kong on business. It takes about an hour to get there, and you can schedule meetings right off the boat for the full day, and, if you dare, you can try to do it all in one day and make the return trip back on time. Macau: Mostly a tourist destination for gambling and sightseeing, bu you can take this trip with business friends and visitors for a day or two. Hong Kong International Airport: This is a nice one. You can check into the airport from the ferry terminal (if your airline has a check-in counter there; most major airlines do). I have also taken the ferry from Hong Kong airport to Shenzhen when my travel companions may not be able to enter Hong Kong. Zhuhai: Not the most popular destination. This is a city across from Macau that is in Mainland China. But another choice to go to from the ferry. Note: Hong Kong / Macau ferry operates 24 hours and runs often. If you do business between Macau and Hong Kong, your life is a bit easier with the ferry. This is a bit of a strange border, because it’s pretty “deep” in Hong Kong. Hung Hom station is in Kowloon, not too far from Central by MTR. It is a massive train station that takes you into Mainland China, to Guangzhou and even Shanghai, Beijing and other cities. For the full schedule and times, check the MTR intercity through train schedule. Getting there is easy. Take the MTR to Hung Hom and follow the signs to the intercity through train. This is a common spot to go for the Canton Fair. If you fly into Hong Kong, this train will be your most convenient option. You can take a bus or subway to Hong Kong or a helicopter to Macau from here. If you are going to Taiwan, there is a special area of the airport you need to go to. I was traveling there with my wife and realized that, and it had a different border and policies as Mainland China and Taiwan have a “special” relationship. If you have a mainland Chinese companion, make sure they have two visas for Taiwan–one is permission from China to leave, the other is from Taiwan giving permission to enter. A bit tricky. There are 2 ways to get to Shenzhen directly from Hong Kong airport, which I’ll cover separately below. Please note that you can always take the “local” way via MTR or local Hong Kong buses. I won’t cover those as they are more complex and longer routes. You will learn about this border as soon as you arrive. Very efficient. After going through customs and baggage claim, a wide range of public transportation options come up. You can take a coach or SkyLimo to Shenzhen from the HK airport. The ticket booths are outside of the checked in passenger zone, and you can go next to the Burger King and there are ticket counters. Ask for the Shenzhen bus. They usually will help you (if you ask) and take you downstairs to the loading zone, which is on the street level of the airport. I have taken these to both Shenzhen Bay border and Huanggang Border, which one you choose depends if you are going to Nanshan (Shekou) or Futian border. Looking for directions to Shenzhen Bay border point from HK airport? As we have our Cross Border Summit 2016 on the Nanshan / Shekou side of Shenzhen – many have requested these instructions. When you land at the Hong Kong airport, exit customs like normal. After baggage claim, exit the “checked in area” and into the public zone. There are bus company stands on the back left corner of the room, or you can ask an airport staff where the Skylimo or Bus to China is. They will point you in the right direction. They have moved the bus customer service counter to the underground, so you’ll take the elevator down just before the Airport Express. Down the elevator take a right and then you’ll see the bus terminal. On the right side there are about 10 counters of different companies. The prices are all the same, the main point is you want to go to the correct border checkpoint. They will approach you and sell you a ticket. Tell them you are going to Shenzhen Bay (Shenzhen Wan in Chinese) and they will take you to their booth. The cost is approximately 150 HKD (about 20 USD). You can use credit card or cash. They’ll give you a sticker to put on your shirt as well as a paper ticket. The waiting area is just opposite the ticket counters. The staff should grab you when they are loading up the next Skylimo. It should run every 20 to 30 minutes. It can fit up to 7 people (1 in the passenger side, and 2 rows of 3 wide). Bags are stacked up in the trunk of the van. The nice thing about the Skylimo is that you get driven right through customs and into the China side. They will drive through the exit point of Hong Kong, and then drive through the Mainland China side. Once they get you through the border, you will be dropped off at the border. You then need to find your own way to your final destination. This can be by taxi or bus. Most likely you’ll wait in the taxi line and then show them the address of your destination. Please keep a printed version of your address. Your phone’s internet may not work, or you may run out of battery! Or if you can’t print it, put it on your computer in advance (so it can be accessed in offline mode) and then show the taxi driver the address. If you’re taking the taxi within the Nanshan / Shekou area the fee should be approximately 30 Chinese Yuan (5 US dollars). You will need to have local RMB currency though, they do not accept USD or HKD. You can exchange some money at the border, or at the airport in advance. This is tricky the first time. Main summary is after baggage claim, find the Mainland tour bus or skylimo (they’re in the same area) and then make sure you buy a ticket to the correct border point. If you are going directly to Shenzhen, you don’t have to enter the border into Hong Kong; you can buy a ferry ticket at the airport. But if you have checked luggage, make sure to tell the ticket booth so they will have an attendant fetch it at the baggage claim center and bring it onto the ferry. I’ve only used this option a couple times, as it is a bit pricey (believe around 300 HKD per person). I had to do this when my wife was denied entry to Hong Kong (she was pregnant and Hong Kong doesn’t allow pregnant Chinese women to enter). So if you have Hong Kong customs issues, you may either get stuck in the airport, or you may have to take this ferry directly into Shenzhen (granted you have a visa to enter China). This is a new one I learned doing research on this blog post, from my buddy Andy Blahnik’s blog. From his blog post it seems very small and you need to take a taxi there. It’s mainly for those who live in the Yantian district in Shenzhen. I’d be curious to hear from those who have used it. Another new border I learned about from researching for this blog post, found this on Shenzhen Party. It’s another border in Luohu district that is only available by car or certain buses. Another one I am not too familiar with but including here for completeness. Would love to hear from those who have used it before! Which Border Crossing Is The Best? Now it is your turn! Let us know which border you think is the best and also see what other visitors have picked as well – vote now, free! Which Border Do You Prefer? Hope that didn’t overwhelm you too much. I count 10 borders between Hong Kong and Shenzhen (Mainland China). Of course, you can also fly directly into China from Hong Kong, and then you would have to enter China customs at that destination’s airport and not any of those mentioned above. As a border-hopping regular, I hope the above gave you some new ideas for better bridging the “China divide”. Please comment below with your tips, tricks, and questions. It has become a pretty active comment section for border hopping regulars! I also have a PDF version of this post for you to download, so you can reference it when you’re on the go and may not have internet. Popular Question: Can I Just Cross Back And Forth Without Waiting? My Answer: So happy you enjoyed the blog – yes – sure you can enter and exit both sides for 1 day and come back. Many do this for personal shopping haha. Thank you for getting back to me. What a relief! I was really worried. Do you know anyone that just exit Shenzhen, walk across the immigration to the HK side and then turn around to re-enter Shenzhen? I’m wondering if you can get away with that. I’ll update the blog with this question and remove what you put there – but I recommend at least going a couple MTR stops into HK then turning around – that is what my friends and I say. So I should add 2 parts after the Hong Kong Frequent Traveler Pass section then? They are 3 different things, you can get the frequent travel pass, which is the actual book from HK gov that you described, then the e-channel, and APEC. All are different and you can have any one of them or all of them. APEC is a plus as it should let you go to the fast lane in China too. You can get the ABTC card as an American bypass immigration as Shenzhen border, and most of APEC for that matter. I make this trip frequently and just flash my American ABTC card. No problems, no lines, no fuss. Informative article that will help many people. I have found that the shortest border crossing times for Passport holders when going from Hong Kong to China are at the Huanggang Border Crossing if you leave Wanchai or Mongkok on the bus at 3:00am to 4:00am if that fits your schedule. thanks PJ, it took a lot of work to write this up – but feels great that it is online and getting positive feedback! I’ll try to continually update it as I go along. wow – 3am is the best time – ya that is the only border you can take at 3am too (Huanggong) and I can imagine it must be a quiet time to cross over. I think I have taken it at 2am and it was pretty quiet – but never 3am to 4am (that I can remember…) 🙂 cheers! Thanks for the post Michael! I am still confused about the stamps that you get at the border… isn’t that a big problem? And how do you avoid it? You haven’t mentioned it in this article but I believe it’s a pretty valid question. Glad you enjoyed it! For stamps yes you get a stamp on the China side, in Hong Kong you used to get a stamp but now it is just a piece of paper. Not sure what is the issue with getting a stamp? Sure it takes up pages in your passport and I have had to get extra pages added but besides that I Don’t see an issue? Could someone tell me the quickest way to get from Elements centre in Hong Kong, i think it is above kowloon train station to Houjoi in Dongguan. Private car would be best but they all seem way too expensive. Any help would be appreciated. Glad you enjoy the post ! Yes, I try to update this as I go – so I re-read your comment here a couple times – the issue is not entering into China from HK – but leaving China after spending a few days in Shekou, right? And that is for your wife’s visa, not yours right? You may be slightly cautious on this since different provinces in China impose different laws in regards to Resident Permits for foreigners. Better to check with the local Entry & Exit Bureau office in the city which you’re going to reside in China. Some province in China requires you to fly out of China (in your case back to NZ) to change your current visa status to a Z visa and then return to China to apply for a residence permit – entry & exit to HK/Macau is not accepted by some provinces such as Tianjin. Hi! I’m moving to Shenzhen in a couple of months and I’m planning on traveling to Hong Kong regularly from there. Probably by mrt. If my passport will be stamp every time I cross the border it might be a good idea to renew my passport before i go right? (the one I have now is running out of pages). What would you suggest me? Is there any other option?. So get the pages before end of this year! Then when you do need to get a new passport, get the one with as many extra pages as possible, think mine is 47 pages ? Hi Michael, I have a bit of a strange question. I’m waiting for my working visa to come through for Hong Kong but just before it does I need to leave and re-enter HK to get another 6 months on my UK passport. I only want to get the new bit of paper with the new leaving date on it, that’s all. So could I just go to a HK/China border station with the MTR and get my paper then head back at the same station I arrived on? This is how many self employed business owners get by for many years.. wouldn’t recommend it as a long term solution! One person I know did that for 8 years! Thanks for the quick reply ^_^ and I definitely don’t plan on doing this long term. But just to double check, I can go to the Luohu or Lok Ma Chau MTR station, cross the border then and pretty much do a 180 o and head back on the same MTR? Many people go through this option, but as Michael says below, I don’t recommend this for a long term solution as you may get questioned by HK custom officers upon entry to HK such as what kind of business do you have in HK that requires you to re-enter on a frequent bases, specially if you do not hold an HKID… in the bracket, for a long run, it’s definitely a risky option. wow, detailed response thanks! After checking with friends and remembering myself after years of not using it – you do need to have a HK airport plane ticket to get the ferry from Shenzhen to HKG. And to get into the HK airport ferry departure area you need to be in the checked area of the airport, which would assume you need to have a ticket into HKG. Hi Mike, Im Planning to bring my bike (on a bike bag) from Shenzhen direct to HK airport. Does the Coach or Vans at Huanggang allows bike bags on their trip? I have a full 29er MTB bike. This will be the first time i will bring it on my travel using a bike luggage bag. I’ve heard there are Vans at Huanggang that travels direct to the airport. Do they allow bike bag on their vans? Gezz, thanks Mike. Hope my query get your Chinese skills a little notch up 😉 Though they can’t confirm if i can load it on the coach or vans, the thing that i can get it pass the border is already good news. In Luhou they only allow 170cm total size (L+W+H) of any luggage. The Bike bag i will be using is 21x125x80cm. btw, after crossing the border, is there any bus going to the airport? and i assume they will let my luggage in i think 🙂 Thanks so much for the efforts mate. It’s the other way around. I’m From Huanggang going to HKIA. I assume it will be of the same scheme? Get off the bus with my bike bag, go through immigration in China and HK, and take the same bus at HK side going to HKIA? and there will be no problem as well with the size of my bike luggage bag i think? Hi Mike, Great info you have here…I am planning on doing a quick visa run to get another 6 months on my Chinese visa. I read somewhere that if you cross from Shenzhen to HK via the Luohu Border, you have to take the MTR one stop to Sheung Shui in HK before you can return back into Shenzhen. Is this true? If it is, I would rather chose another crossing eg.Futian than having to deal with this hassle. Have you tried or know of anyone who encountered this situation at the Luohu border crossing? Thanks. Futian, yes you will still be in the same building when you cross, so you can just not go on the MTR or the bus into HK and turn back around. If customs cares if you do that or not, that is where I am not 100% sure – but technically it is not a problem. Hi I live in Louhu, just wondering where to get a taxi from leaving from Shenzen Louhu to go to Hong Kong central? Will be leaving around 9.30 pm. Catching a flight the following day from hk airport . I was told I could get a taxi from huanggang also? But Louhu closer. Just wondering the difference and how to locate the taxis? Hi Michael, I intend to take a Ferry to Shekou from HKIA Skypier. I have to make some calls when I reach shekou port. Are there any Chinese SIM Card shops in Shekou ferry terminal? Or can I buy Chinese SIM cards from HKIA? Any update on uber? Specifically from Shenzhen to HK? Thanks! Thanks for the information. It was very insightful. I was wondering if anyone has heard of the Multiple Chinese Visa Stamp Page? I think it is for frequent travelers between Hong Kong and China. hmm – this is something I haven’t heard of? And i’ve been crossing for years! Like a separate book just for China stamps? Yes, there’s a so called Paper Stamp (can’t quite remember what exactly it’s called) and they only offer this option to those who hold a Permanent HKID. You can obtain it at Futian checkpoint at mainland side. Once you obtain this stamp paper, you no longer will receive exit/entry stamps on your passport. so hard to explian made a map for you …. basically you go over the fot bridge, pass the taxi line – go through the bus stop – and cross the highway (jump the fence…) and then go through the village, and then another highway, and htne there is the metro station fumin…..
lol, this is why you dont see it in maps or forums! Hi mike,leaving to shenzhen from Hong Kong through the lo Wu border.planning to spend half a day in shenzhen on 20th April.could you pls suggest on the best possible time to leave to zhuhai from shekou port and the best means of transportation from the luohu commercial city to shekou port.Feel blessed having found your blog…very informative. Kindly let me know if we need to book for the ferry at the shekou port in advance online. no need to book the ferry in advance from my experience. I wish eChannel facility would be available on the mainland side for foreigners crossing the border on a daily bases. During my days working in Shenzhen and living in HK, I filled up all pages of my passport, pretty much getting stamped twice a day (entry and exit) five days a week. Currently, the eChannel at mainland side is only available for Chinese Nationals. and if you’re crossing the border at Futian Checkpoint/Shenzhen Bay, there’s no separate line for foreigners. yes, us foreigners get the short end of the stick…. I feel I may need to get a new passport soon just due to stamps – already have maxed out pages and US doesn’t give more pages anymore! But I do pick Huanggang border specifically for this issue of needing a separate foreigner line. Interestingly, you may ask to get stamped on the passport spine, right between pages. I’ve done this several times and it turned out I saved on the blank pages! But keep in mind that not all custom officers agree to do this! I had instances that I’ve been told they only can accommodate max 6 stamps in a page without overlapping! weird but I believe it all depends on their supervisor to allow them stamp on passport spine right between two pages. Have you heard of 5-Day Shenzhen Visa which can be obtained I guess at Lowu border by any chance? Apparently, it’s only good for SZ area only and it’s a one time entry visit visa for 160RMB something. If I have an APEC card do I still need to fill out the paper forms I used to fill out when crossing into china from HK? Or do I just give my driver the APEC card, my passport, and that’s it? What I would suggest is to have a stack of those arrival/departure forms and fill them up at home, you can grab a bunch from the customs. This will save you lots of time. totally agree, I put the HK customs slips in my passport bag – sometimes I forget to take it out and the customs official is waiting to tell me to go back to the counter in the back of the building – but I pull out a stack of pre-filled ones – often the official raises an eyebrow, haha. I wonder if they really read those filled up arrival/departure cards at all or once you hand them it pretty much ends up in a bin and gets destroyed! Anyway, if you have eChannel enrolled passport at the HK side, then you don’t need to fill up HK arrival/departure cards. I heard a rumor from a friend that he say them dumping out barrels full of them and lighting them on fire. hahaha. In regards to the 7 day Shenzhen visit visa, I actually asked from a Custom supervisor in Futian Checkpoint. He said this is still happening in LoWu, you can either apply for it at SZ side or HK side before crossing the bridge. He said the wait time is around one hour to get the visa issued. Is that for US passport holders? I just had a buddy Nick ask me if he can get a visa at the LoWu border from Hong Kong as an American citizen. I told him I don’t think so. Well… I doubt it. I’m on a New Zealand passport myself and I’m not currently in China. I was visiting HK and Shenzhen over the New Year holidays and that was when I got a chance to question one of the customs supervisors. Just wondering if I can do the same day exit and entry between Shenzhen and HK. Is it true that you must stay 24 hours in HK? Thank you. ​So happy you enjoyed the blog – yes – sure you can enter and exit both sides for 1 day and come back. Many do this for personal shopping haha. You can do multiple entry/exit in a day, as long as you’ve a multiple entry visa to enter mainland. Very interesting project – I think it is the same as “importing” a car or pet or product into Mainland China – which is a bit strict – even though its only for a trip I think you’d have to go through the paperwork to get it in, and then when you leave “export” it out. He is always on his motor bike in China and has a passion for it. Please state,i am travelling to shenzhen from HKIA by red taxi, how much is the red taxi fro the airport. Why would you take a red taxi? Take a green taxi. Price is about 300 to Huanggang and the lines for green taxis at the airport are usually shorter. Only bad part vs the 7 seat van is that you have to take the yellow bus across the border instead of being driven across. The blog is really informative and helpful. I just had one question. I have a multiple entry visa for Hong Kong with the maximum duration of one stay as 14 days. Just wanted to know if Macau is counted as an exit point from Hong Kong. Can i travel to Macau for one night and get back the 14 days. I have been getting mixed answer for this question so I am really confused. you exit customs of HK when you go to Macau, and enter Macau customs when you go into Macau – so it should work. Although it isn’t something I’d use as a long term solution as it will look suspicious to HK customs when they check your exit/entry history in their database. Make sense? I get what you are saying but I need to do it just once. Won’t happen again and again. Should I go ahead with the idea? Thanks for the update – i just updated the post – enjoy your summer Steven! Michael- We are traveling from Shenzhen to Hong Kong (Central) and I am interested in taking the ferry. I’m wondering how far in advance we need to show up at the ferry terminal? We would like to just buy our tickets when we get there. Thanks! nice – I usually get to the Shekou ferry terminal an hour in advance – but i think tickets are first come first serve – an hour is safe usually. Though a friend Doug was later and had to taxi to SZ Bay to get the airport ! If you can reply here and let us know its appreciated. I will make a daytrip from Hong Kong (Central) to Guangzhou (by train?!) I am interested in shopping and buying some fake shoes & clothing I’m wondering if i will get problems with the customs when i go back from Mainland China to Hong Kong? And answer would be great. Thanks! It all depends on what quantity are bringing in. If it’s just a pair of shoes and piece of clothes for personal use, I don’t believe you will get into any trouble, but if you’re running a business and transporting a large quantity, the risk is very high! But general speaking, this is not a right practice and I would try to avoid it. Very informative blog, thanks! I have one question of which I can’t find the answer to: with the (new) 144 hrs VOA that you get at the Shenzhen airport, can you just leave through the land border to Hong Kong? Or you need to leave from the airport again? Hope you know the answer! Hi Michael (sorry, I meant to say Michael yesterday). I will indeed try this then, but I won’t be able to give you an update until the beginning of December – that’s when I travel there. It surely saves some money and hassle as I wanted to go to Hangzhou after HK, for which you can get a VOA as well, if you go to a third country afterwards. wow, this is quite advanced stuff even for a veteran like me! I am a French citizen planning to apply for a PhD in Hong Kong. My research field will be Hong Kong and Guangdong so I was wondering if there were any visas that will allow me to go back and forth weekly from HK to Shenzhen (like a one year multiple entries one) ? If possible, I will rent a place in Shenzhen and stay there most of the time (around 4days a week). And as I will be a university student in HK, I will have a Hong Kong student visa. I am going to spend about 3 weeks in Hong Kong in July and have been searchign for flight tickets. I have seen that I can save up to 300 USD if I land in Shenzhen. Is it worth the hassle? You may need a Chinese Visa if you land in Shenzhen, After, there is Bus going to Hong Kong from Shenzhen Airport but I wouldn’t do it. It will add about 3/5hrs extra traveling time to go to Hong Kong Central depending on traffic and the time it take for you to cross the border China/Hong Kong. Hong Kong airport is so convenient. I wouldn’t bother landing in Shenzhen! How to avoid my passport to be stamped every time I cross the China border. I am French citizen and Hong Kong permanent Resident with Multiple entry visa for 3 years to China. I cross the HK/CN Border more than 3 times a week… and am changing my passport every year because of the stamps in China. I am also having the Business traveler card APEC. Thanks! with the APEC card ground crossing from HK to Shenzhen they now make you get out not pass in car– with APEC which line can i use? There is a line marked “special/Diplomat” at most ground crossings can i use that instead of the normal “foreigner” crossing? Why is it highway from HK AirPort to Shenzhen,but surface streets from Shenzhen to HK airport?